Are you looking for a Furniture Transportation Company who’s affordable and reliable? Well guess what? You found one! Not only are we the best in the furniture industry but all of our customers love us! Just read all the testimonials they’ve sent us, if you need more proof. 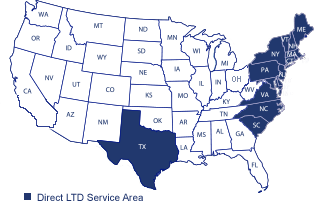 One thing that sets Shelba D. Johnson Trucking, Inc. apart from the other furniture transporters is that we are the only company to offer 28 foot pup trailer service to Washington,DC and Manhattan, NY. This means that we offer direct deliveries to all places within our service area. Just in case you missed it, we carry and pickup from all states on the East Coast. What’s another great thing about our furniture transportation service? How about our online tracking system so that you know everything that’s going on with your shipment! With Express Tracking system, you can view Driver information, # of pieces shipped, pickup date, estimated delivery date and more. Now that you know some great things about us, contact our sales department to get more information about your specific Furniture tranportation needs.